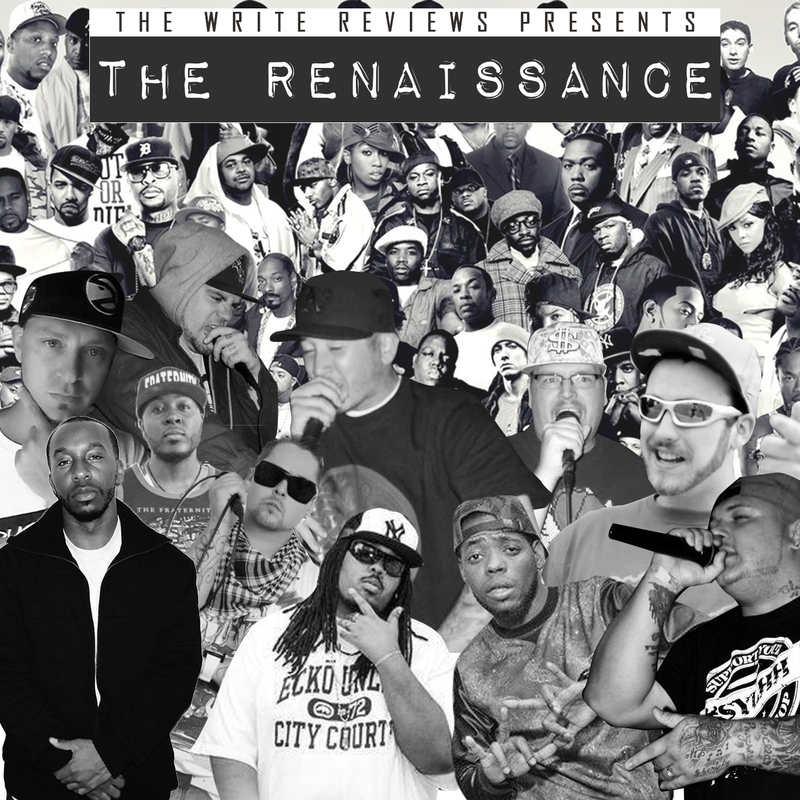 The Renaissance is my idea for a series of compilation albums that will include many hip hop songs from the artists and albums I have reviewed in The Write Reviews. I chose the name The Renaissance for the title of this compilation series because the artists of The Renaissance age were true to their art, constantly working on their craft, teaching others of the things they learned, were typically deep-thinkers and philosophers, were never really concerned with money or material items the way artists are today, and were very passionate about their work. Hip hop used to have the same type of feeling among its artists, but this has changed over the years. We have been fed watered down art lacking passion, creativity, and the desire to consistently work to improve the craft. I feel we need to take it back to real hip hop. We should recognize the artists true to their art, and show appreciation for the work they put into their art. I wanted to do my best to bring those artists together, and hopefully get their music to every corner of the Earth. My track selection is based off of the Featured Tracks list, so these are the songs I feel are the best from the albums I have reviewed. From the songs listed in the Featured Tracks section, I will personally select each track that will be included in The Renaissance compilation series. If you take the time to listen to these compilation albums, there is no doubt in my mind that you will enjoy the music. You are also likely to find a new favorite artist or two in the mix. Hip hop is not dead. I can prove it. Note: All of the artists and promoters of The Renaissance compilation series are using the hash tag #TheRenaissance to help spread the word! Feel free to join us and spread real hip hop! Warren Peace can be contacted on Facebook and Twitter!